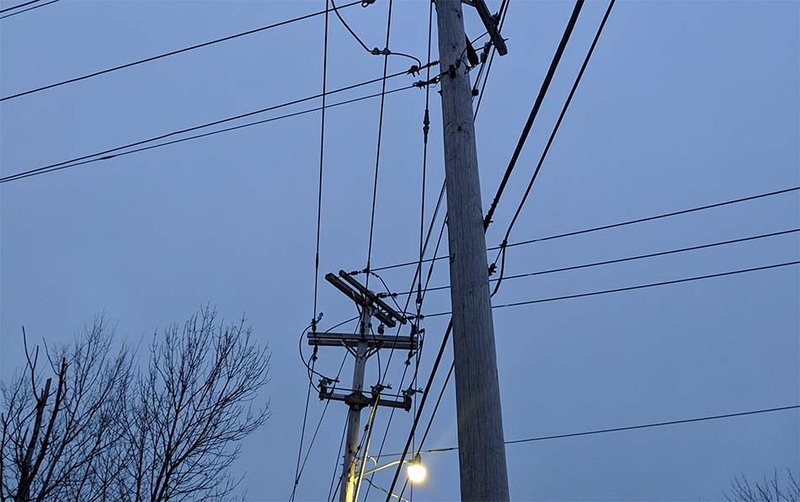 Maine electricity consumers would pay be forced to pay more for electricity under a proposal in Augusta, including picking up greater costs for the transmission and delivery of electricity. AUGUSTA – While some Mainers grapple with rising energy costs, a bill that would remove restrictions on energy producers that participate in Maine’s Net Energy Billing program and force customers to pay for the electricity those generators create at a very high rate is now under consideration in the Maine Legislature in Augusta. At issue are the state’s rules around Net Energy Billing, which is basically a practice that allows a facility that generates power for its own use to only be billed for the amount of energy it uses beyond what it generates and consumes in a billing period. Such facilities are currently limited to a 660 kilowatt capacity and 10 meters, or accounts. If a facility produces more energy than it consumes, it can get a credit at some point in the following twelve months for the net energy it produced in that billing period to offset energy it consumed at a later time. But the proposal on the table in Augusta is to simply remove the kilowatt capacity and meter limits on Net Energy facilities, which, according to the PUC would mean that most of the energy these facilities would produce could be pushed onto Maine’s electric grid at a retail cost of 17 cents per kilowatt hour. “Further, in the case of larger facilities and multiple accounts or shared ownership facilities, most of the energy generated will not be used “behind-the-meter” to serve customers’ own electricity needs and would, instead, essentially be an export of power onto the grid for which NEB customers would be compensated at the overall retail rate (T&D charge and supply charge) of approximately 17 cents/kWh, which is more than three times the market value of that electricity,” said Pauline McCarter Collins, the legislative liaison for the Maine PUC in testimony. The PUC testimony says that any removal of the restrictions on net energy facilities will necessarily result in a cost shift and rate increases to non-NEB customers, meaning traditional Maine consumers would pay more to cover the rate increases created by the facility. The PUC says that while NEB does serve the state’s purpose in generating clean, indigenous energy without burning fossil fuels, it already creates cost shifts to consumers, who end up subsidizing the energy producers on transmission and delivery costs over poles and wires. Because NEB facilities can use credits to offset transmission and delivery costs the PUC says they are already shifting the costs to Maine consumers and causing rate increases. That problem could get worse under the proposal being considered. The Maine PUC recently entered into a contract with Three Rivers Solar in Hancock County on a 100 MW facility at a cost of just $0.035 per kilowatt hour, a much lower rate for electricity than NEB facilities. Some argue that Maine is better off to push these larger facilities to sell their energy on the grid and spread the transmission and delivery costs across a broader market, instead of allowing NEB customers to avoid those costs and force other consumers to make up the difference for them with higher rates. The bill under consideration is L.D. 1139 and is sponsored by Rep. Norm Higgins, (I – Dover-Foxcroft). It has eight cosponsors, seven of whom are Democrats, and one Independent. L.D. 1139 has already had a work session with the Legislature’s Energy, Utilities and Technology Committee and would face votes by the Maine House and Senate this legislative session before it could become law.